We did it! We made it to the weekend. WOO HOO! And today is a very special day because it's my Dad's birthday. Happy Birthday DAD!!! We are so glad that we get to spend so much time with you and that we actually get to celebrate you on your birthday this year. 1.) 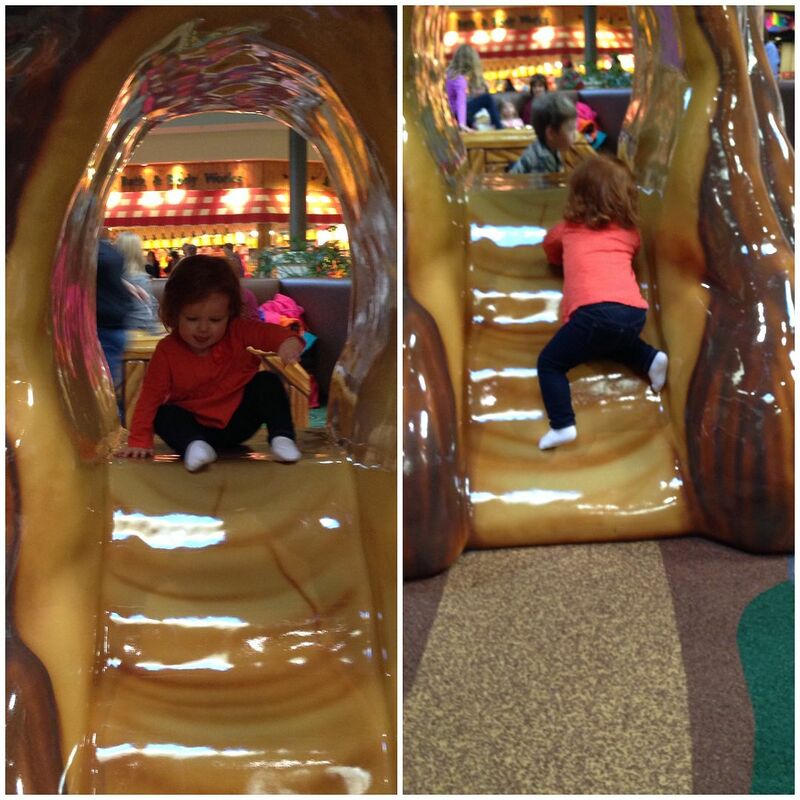 Tolar and I took Baby K to the play area at the mall and she could not get enough of the fun little slide. She kept trying to climb up it too. 2.) 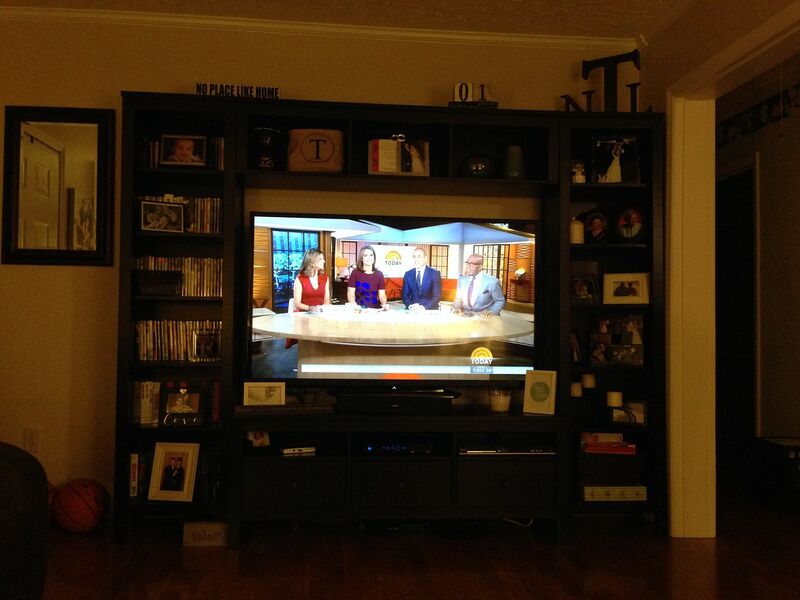 We finally got cable installed at our new house and I celebrated by watching the Today Show. I have missed me some Savannah and Matt! 3.) 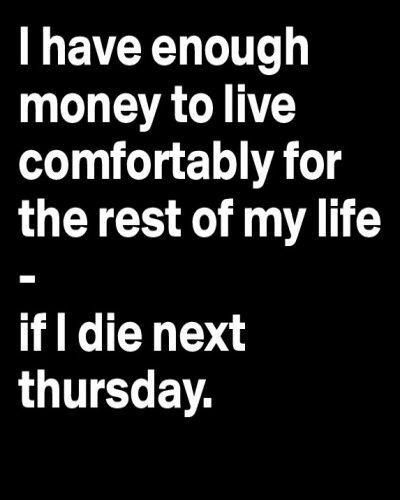 This picture has nothing to do with me, but it made me laugh so hard when I was scrolling through facebook the other day. 4.) Tolar's Dad and I pulled off a pretty great surprise visit for Tolar, his Dad is here with us for the weekend. 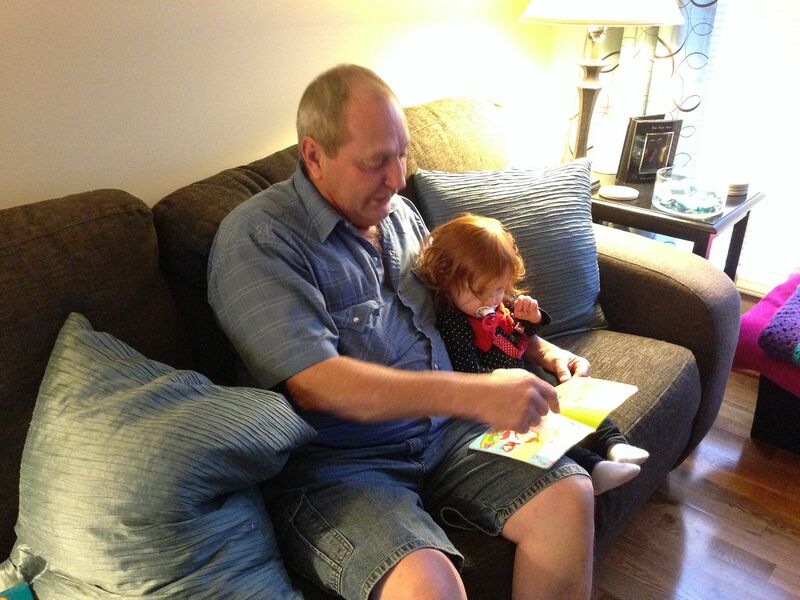 And it has already been great seeing all of the cuddle time that Baby K gets with her Pops. 5.) We went out for dinner and the hostess gave Baby K a balloon. She had so much fun playing with it, ahhhh the little things in life that bring our children joy. Baby K is so cute in that play area, the wonders of being a child!!!! Glad you have cable [woop whoop Today show] and glad that the surprise worked. It's always so fun when they do! Such a cute post! Hope youve had a lovely week! Happy Birthday to your dad. Glad you had a fun week. I'm in love with Baby K! She's a doll! Woohoo! 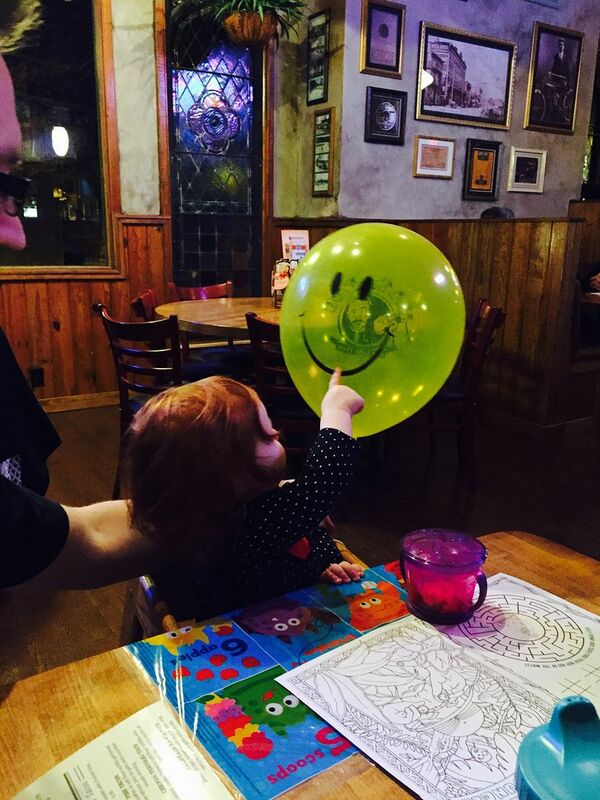 Whatever keeps those kiddos calm and entertained while out to eat :) My little one loves balloons too! Looks like you had such a wonderful weekend. Thanks for linking up with us at H54F!!! This looks like a great week! I started to take Kane to the mall play-place today but he wanted to nap instead. Thanks for linking up with us! Your blog is adorable!!! !